Vladimir P. Torchilin is a University Distinguished Professor and Director, Center for Pharmaceutical Biotechnology and Nanomedicine, Northeastern University, Boston. He graduated from the Moscow University with MS in Chemistry, and obtained there his Ph.D. and D.Sc. in Polymer Chemistry and Chemistry of Physiologically Active Compounds in 1971 and 1980, respectively. In 1991, Dr. Torchilin joined MGH/Harvard Medical School as the Head of Chemistry Program, Center for Imaging and Pharmaceutical Research, and Associate Professor of Radiology. He was the Chair of the Department of Pharmaceutical Sciences in 1998-2008. His research interests include liposomes, lipid-core micelles, biomedical polymers, drug delivery and targeting, pharmaceutical nanocarriers, experimental cancer immunology. He has published more than 350 original papers (which received more than 30,000 citations), more than 150 reviews and book chapters, wrote and edited 10 books. Research Interest including Immobilized Enzymes in Medicine, Targeted Delivery of Imaging Agents, Liposomes, Nanoparticulates as Pharmaceutical Carriers, Biomedical Aspects of Drug Targeting, and holds more than 40 patents. 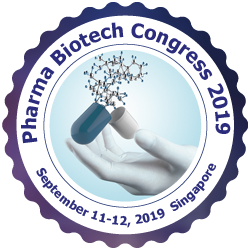 He is Editor-in-Chief of Current Drug Discovery Technologies and of Drug Delivery and on the Editorial Boards of many journals including Journal of Controlled Release (Review Editor), Bioconjugate Chemistry, Advanced Drug Delivery Reviews, Molecular Pharmaceutics. Professor Raid Alany has over 25 years of international experience in pharmacy education, pharmaceutics and drug delivery research. His academic journey spans three continents, namely, Asia, Oceania and Europe. He received his PhD in drug delivery from the University of Otago, Dunedin New Zealand in 2001; was appointed as a Lecturer at the School of Pharmacy, The University of Auckland, Auckland, New Zealand. He joined Kingston University London as Professor (Chair) of Pharmaceutics in January 2011 and was appointed as Research Director for the School of Pharmacy and Chemistry in December 2013. Raid is an author on over 200 scientific research publications (papers and abstracts), a book and seven book chapters. Professor Alany acts as Editor-in-Chief for Pharmaceutical Development and Technology, Section Editor for Clinical and Experimental Ophthalmology the official journal of the Royal Australian and New Zealand College of Ophthalmologists; Chief Patron, Drug Development and Therapeutics, a publication of Organization of Pharmaceutical Unity with BioAllied Sciences (OPUBS). He serves on the Editorial Board of the following journals: Current Medical Research and Opinion, BioMed Research International, Journal of Drug Delivery Science and Technology, Current Drug Delivery, Pharmaceutics MDPI, and Drug Delivery Letters. He is the Immediate Past President of the New Zealand Chapter of the Controlled Release Society (NZCRS), Young Scientist Committee of the Controlled Release Society. Raid won several awards such as Microscopy New Zealand Young Scientists Award in 1999 The University of Auckland's Vice Chancellor's Early Career Research Excellence Award in 2003, the Controlled Release Society Veterinary Programme co-chair/ chair Distinguished Service Awards in 2008/2009 and the Spark Ideas Challenge, Uniservices Prize and Chiasma Prize in 2011. He consults for human and veterinary pharmaceutical companies in New Zealand and Singapore and is an inventor on several international patents. Arwyn gained his PhD in protein biochemistry and crystallography at Birkbeck College, University of London. Then he undertook postdoctoral positions investigating endocytosis at the University of Liverpool and Harvard University, Boston USA. In 2000 he was awarded a European Molecular Biology Organization fellowship to work at the European Molecular Biology Laboratory (EMBL), Heidelberg Germany, and continued at the EMBL when he was awarded an Alexander von Humboldt Foundation Scholarship. He was appointed as Lecturer at the Cardiff School of Pharmacy and Pharmaceutical Sciences at Cardiff University in 2002 where he is now a Professor in Membrane Traffic and Drug Delivery. In addition to scientific research, Arwyn also has a very wide interest in public engagement with science and has organised a number of large exhibitions focusing on e.g. stem cell biology, tissue engineering, pollination and neuroscience. Through a BBC scholarship, he gained a Diploma in Journalism qualification from Bangor University in 2001 and for a number of years he has been a regular face and voice in the Welsh media discussing scientific issues. Projects in his lab fall under cancer cell biology, endocytosis and drug delivery, concentrating on linking endocytosis research to enhance our capacity to deliver therapeutics to defined regions of cells. He actively collaborates with a number of national and international groups including his recent strong involvement with COMPACT (http://www.compact-research.org/) - an academic/industrial consortium collaborating on the Optimisation of Macromolecular Pharmaceutical Access to Cellular Targets. Arwyn has published widely within the fields of endocytosis and drug delivery especially within the remit of early endosomal traffic and the utilization of Cell Penetrating Peptides as drug delivery vectors. He currently sits on the Editorial Board of the Journal of Controlled Release and Membranes. Amiram Goldblum is the Head of the Molecular Modeling and Drug Design and Discovery Unit at the Institute for Drug Research of the Hebrew University. Following a BSc in Chemistry and Physics and a MSc in QM studies of molecular spectra, his PhD is in Organic Reaction Mechanisms (Mechoulam, Hebrew U). He completed his Post-doctoral studies of Quantum Biochemistry (Paris), QSAR and QM reaction mechanisms (California). He receieved his first award at the American Chemical Society National Meeting in Washington DC 2000 for his algorithm called "Iterative Stochastic Elimination" (ISE) used to solve extremely complex combinatorial problems and focuses in recent years on Molecular Discovery by Chemoinformatics. Gabriele Sadowski is full Professor for Thermodynamics. Her main fields of research are thermodynamics of biological and pharmaceutical systems. She has published about 150 papers, is Chair of the German Working Party of Thermodynamics and member of the German Academy of Technical Sciences. 2011, she received the prestigious Leibniz award. Thermodynamics of Biological and Pharmaceutical systems. Costas Kiparissides is a full time Professor of Chemical Engineering Department (AUTH) since 1981. He was Director of CPERI (2001-2006) and CERTH (2005-2010). He received his diploma in Chemical Engineering from NTUA (1971) and his Ph.D. from McMaster University (1978). He has supervised more than fifty Ph.D. students, 160 diploma theses and has presented more than 300 invited seminars and lectures. He has published 210 papers in refereed journals, 430 conference papers and 24 books and reports. His research interests include advanced multi-scale modeling of chemical and biological systems, functional materials, drug delivery systems, and microbial production of functional biopolymers. Mino Caira has directed the Centre for Supramolecular Chemistry Research at the University of Cape Town (UCT) since 2005. He retired as Professor of Physical Chemistry in 2014 and was subsequently appointed as a Senior Scholar in the Department of Chemistry at UCT. His expertise is in the area of solid-state chemistry of drug polymorphs and novel multi-component systems containing active pharmaceutical ingredients. He has published over 300 papers in international journals and since 2009 has served on the Editorial Advisory Board of the Journal of Pharmaceutical Sciences. B. B. Barik has completed his Ph.D. in 1993 from Jadavpur University, Kolkata, India. He is the Professor in the department of Pharmaceutics, College of Pharmacy, Jazan University, KSA. Earlier he worked as professor and head in the Univ Dept of Pharm Sci, Utkal University, Bhubaneswar, India and College of Pharmaceutical Sci, Berhampur, Odisha. He has published more than 50 papers in reputed journals and presented more than 100 papers in national and international conferences. He is serving as reviewer and editorial board member of reputed journals. Şennur Görgülü Kahyaoğlu has completed her MSc degree from Anadolu University Department of Advanced Technologies-Biotechnology and continued Doctoral studies at the same University Graduate School of Health Sciences, Department of Pharmacology. She is responsible for xCELLigence RTCA MP System, flow cytometer, confocal microscope and cell culture laboratory. She is pursuing her studies on nano-biotechnology for novel drug research and development. She has 3 papers in refereed journals and has attended more than 15 conferences. Bahar Demir has graduated from Eskişehir Osmangazi University Department of Biology. She is doing her Post-graduation at Anadolu University Department of Biochemistry. She is studying on anti-cancer agents for novel drug research and development. She has taken part in 2 projects and has attended more than 5 conferences. Meliha Ekinci received her Master’s degree in Radiopharmacy from Ege University (Turkey) in 2015. She is currently a Research Assistant at Radiopharmacy Department and also a Doctoral student at Biopharmaceutics and Pharmacokinetics Department, Ege University. She has already published 4 papers in reputed journals. Her research interest is in radiolabeled and evaluated newly developed radiopharmaceuticals for diagnosis of different cancer types. Nehal has got her Master’s degree in Pharmaceutical Chemistry from the German University in Cairo in 2015. She is currently working as a Research Assistant in Zewail City of Science and Technology. Moreover, Nehal is a Drug Design Ph.D. student in Zewail City. She has 2 publications in reputable international journals as well as an accepted Poster in another international conference. Sahar Awwad completed both her Bachelor’s in Pharmacy and MSc in Drug Delivery. She is in the final year of her PhD at UCL School of Pharmacy and UCL Institute of Ophthalmology, under the supervision of Professor Steve Brocchini and Professor Sir Peng Tee Khaw. Merari Tumin Chevalier has completed a 5 years degree in Chemistry from National University of Mar del Plata. Currently, she is working on her PhD thesis at the Research Institute in Materials Science and Technology (INTEMA)- CONICET (Argentina), particularly in the Group of Polymer Matrix Composite Materials led by Dra. Vera Alvarez. The goal of her work is to develop and study effective biopolymeric drug carriers. At the present time, she is doing a six month residence in the Polymer Science and Technology Institute (ICTP)-CSIC (Madrid) in order to acquire new knowledge regarding the preparation and characterization of polymeric nanoparticles. Shayan F Lahiji has completed his BS and MS from Yonsei University (South Korea) and is currently doing his PhD at the same university. Because of his outstanding contribution to science and new novel delivery systems, he has been awarded in different fields of science for “The best poster presenter” from 3rd world biotechnology conference, “The best research award” from Yonsei University and “The best academic poster” from BK21 PLUS Research Symposium and more. He has published papers in reputed journals such as “Scientific Reports” from Nature Publishing Group and “Biomaterials” from Elsevier. Jesus Izaguirre Carbonell obtained his degree in pharmacy at Universidad Miguel Hernandez in Spain. Thereafter, he moved to Japan where he is currently completing his PhD at Tokyo University of Science under Prof. Sugawara supervision and where he also obtained his master degree. He has published 4 papers for obtaining his PhD degree including renowed journals. N Storozhylova is a Erasmus Mundus NanoFar PhD student at University of Nantes and University of Santiago de Compostela, 2013-2016. Dr. Margit schulze research interest focuses on Utilization of Renewable resources, Stem Cells on Biomaterials for Synthetic Grafts to Promote Vascular Healing,Polymer Technology, tissue engineering, new therapies, Rigid rod polymers with regularly spaced silicon-centered phthalocyanine units in the backbone, Frontiers in Stem Cell Treatments and Bioactive papers for food. Faiez has obtained his Ph.D from University of Strathclyde. He is Associate professor and Chair of Biotechnology at McMaster University. Faiez is serving as Editorial board member for The International Journal of Engineering Education (IJEE) and member of the Society for Industrial Microbiology and Biotechnology. Faiez has published more than 30 papers in world class journals. Research Interest: Microbial Biotechnology and Nanobiotechnology: Industrial Microbiology, Biochemical Engineering, Biosynthesis of silver and gold nanoparticles, Solid State Bioprocess, Optimization and scale-up of bioprocess, Molecular basis of mutation and application. Patrick Fickers has completed a Ph.D. in Biochemistry from University of Liège (Belgium). After a postdoc at Polytech’Lille (France), he joined in 2005 the Centre of Protein Engineering (Liège, Belgium) as a FNRS fellow. Form 2009 until 2014, he was an Associated Professor at Université libre de Bruxelles and the head of the Biotechnology and Bioprocess Unit. Since 2015, he is a Professor at Gembloux Agro BioTech, University of Liege, in the Microbial Processes and Interactions.Adjunct Professor at Ton Duc Thang University (Ho Chi Minh City, Viet Nam). He has published more than 40 research papers in peer-reviewed journals and 6 book chapters. His researches focus on the development of yeast and bacterial strains by metabolic engineering and on process development in bioreactor for the production of compounds of biotechnological interest. Helena Nadais has both a MsC and a BsC in Chemical Engineering from Instituto Superior Técnico of Lisbon University and has a PhD in Sciences Applied to the Environment from the University of Aveiro. She also has a MsC in Specialized Translation from the University of Aveiro. Presently and since 2003, she is Assistant Professor in the Environment and Planning Department at the University of Aveiro. Throughout her academic career she has participated whether as team member or as main investigator in various scientific research projects in the subject of the valorization of wastewater and wastes, and she has recently submitted a patent application on a process for biological recovery of wastes. She is full member of the research center CESAM (www.cesam.pt). With a total of over 65 communications she has 25 papers published in international scientific magazines with peer review, 4 international book chapters and 32 communications in Portuguese and international meetings with peer review. The research interests of Helena Nadais are centered on biological processes for the treatment and material/energetic valorization of wastewaters and wastes. She has done substantial work on the development of a novel strategy for the operation of biological systems towards the valorization of wastes allowing the raising by around 25% of the bioenergy (methane) production from industrial wastewaters in parallel with the monitoring of the key microbiological groups thriving in such optimized systems. Presently she is focused on microbial fuel cells for energy production from domestic wastewaters. Georgios Skretas graduated from the School of Chemical Engineering of the National technical University of Athens (Greece) in 1998 and received his PhD in Chemical Engineering from Princeton University (USA) in 2006. He then moved on to the University of Texas at Austin (USA) to carry out post-doctoral research training under the guidance of Prof. George Georgiou. Since 2009, Dr. Skretas has been the principal investigator of the Laboratory of Enzyme & Synthetic Biotechnology at the Institute of Biology, Medicinal Chemistry & Biotechnology of the National Hellenic Research Foundation (Greece), where he currently holds the rank of Research Assistant Professor. Protein misfolding and aggregation. Molecular evolution of compounds with potentially therapeutic effects against protein misfolding diseases, such as Alzheimer’s disease, amyotrophic lateral sclerosis, and certain forms of cancer. Development of novel protein-based tools for applications in synthetic biology. Production of hard-to-express recombinant proteins, such as human integral membrane proteins, in microbial cells. Discovery of thermostable hydrolytic enzymes of industrial interest using metagenomic approaches and directed protein evolution. Development of biosensors of protein conformations and dynamics. osé Sánchez del Río Sáezhas been working in biotechnology with photonic biosensors for more than 4 years. He did his PhD in photonic bio-sensing and DNA mutations detection at Madrid Microelectronics Institute (IMM-CNM-CSIC). Then he worked in a private company as a patent researcher in Biometrics and novel sensors and after as a postdoc in the Face Recognition and Artificial Vision (FRAV) group of the Computer and Statistics department at Rey Juan Carlos University (URJC). He has done 2 postdocs in the Nuclear Physics Department at the Matter Structure Institute (IEM-CSIC) and was specialized in high energy ions, protons and gamma radiation detection. Nowadays, he is working as a SW/HW testing engineer in the aerospace field for ALTER TECHNOLOGY. Shukai Duan received the Ph.D. degree in 2006 and has completed his postdoctoral studies in 2008 from the Chongqing University of China. Currently, he is a Professor with the college of Electronics and Information Engineering and the deputy director of Division of Science and Technology, Southwest University. He was also invited as a visiting professor in University of Michigan, University of Windsor, and Texas A&M University at Qatar, in 2011, 2013 and 2014, respectively. He has published more than 100 papers in reputed journals and conferences. Dr. Duan’s research interests include (i) memristive devices and systems: memristive device modeling, analysis and applications in nonvolatile memory and advanced information processing; (ii) industrial biotechnology: detection of bacteria, analysis of odors based on electronic nose (iii) nonlinear systems and circuits: chaos systems, chaotic circuit implementation, nonlinear dynamic systems and pulse control; (iv) Artificial intelligent: artificial neural network algorithms, neuromorphic computing systems. V.B. Oliveira completed a PhD in Chemical and Biological Engineering in 2009 and since then has been a postdoc researcher and an invited Auxiliary Professor at Faculty of Engineering/University of Porto (FEUP). She is member of Transport Phenomena Research Center at FEUP. She has authored 22 papers in international journals and published a book chapter in the IWA publishing. She has been invited to review manuscripts in top-ranked international peer-review journals, namely Journal of Power Sources, Electrochimica Acta, Biochemical Engineering Journal and Applied Energy. She was member of the organizing committee of the 12th International Chemical and Biological Engineering Conference, CHEMPOR. Dr. Vânia Oliveira research interest focus on chemical fuel cells (Direct Alcohol Fuel Cells (methanol and ethanol) and Hydrogen Fuel Cells), Biological fuel cells (Microbial Fuel Cells) and on the transport phenomena and numerical modelling of both chemical and biological fuel cells. Dr. Vânia Oliveira works on the optimization of operating and design parameters of chemical and biological the fuel cells and on the fuel cells construction, application and miniaturization. Dr. Nipunjot Kaur has a long academic career of 9 years with active involvement in teaching and research. She has a Master’s degree in Biotechnology from Punjabi University, Patiala and received the Ph.D. degree on topic “Designing of protease deficient strain of S. pombe using gene silencing approach.” from Punjabi University, Patiala. Her current research focus is on Molecular Biology and Microbial Genetics. She has published two research articles in reputed national and international journals. Dr. Saeed El-Ashram (PhD Vet. Med. ), now is an Associate professor of immunoparasitology at Faculty of Science, Kafr El-Sheikh University, Kafr El-Sheikh, Egypt. Dr. Saeed El-Ashram scientific interests include parasitology, Immunology, Veterinary Medicine. His recent publications include Gel Mapping to Differentiate between Sporozoites of Two Immunologically Distinct Strains of Eimeria maxima (Strains M6 and Guelph), ) Interferon-Gamma Release Assay,Exploring Early and Late Toxoplasma gondii Strain RH Infection by Two-Dimensional Immunoblots of Chicken Immunoglobulin G and M and Mycoplasma gallisepticum MGA_0676 is a membrane-associated cytotoxic nuclease with a staphylococcal nuclease region essential for nuclear.